Saving space in your home is a necessary household task. Whether you live in a large mansion or a compact apartment, a little ingenuity and forethought can go a long way in creating a comfortable and well-organised dwelling. For the enterprising individual, a space-efficient home is a creatively designed residence where everything has its place—it is a neat abode, it is enjoyable, and most of all, it is inviting. Here at homify we love artful and intelligent design. From cloistered apartments that utilise their space with style and sophistication, to skilfully planned and expertly undertaken homes that maximise their floor plan, a well-designed property is a joy to experience. To provide a little inspiration and perhaps a few ideas, we've gathered 9 of the most space-efficient homes we've seen. Would you like to take a tour? Check them out below and potentially garner a few tips for your own abode! Our first example has been designed by Archifacturing and boasts under-floor storage, as well as sleek transparent room dividers. 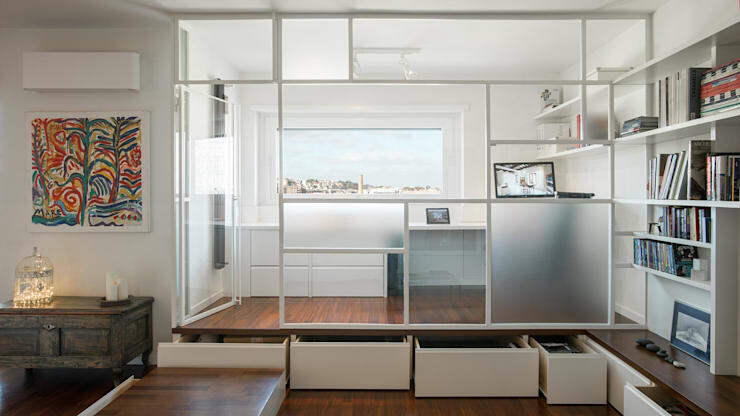 These storage boxes make use of the unique area underneath the flooring, while the clear partition cleverly divides the room by ensuring it still retains a sense of spaciousness. When you have limited space, you certainly want to make the most of every centimetre. 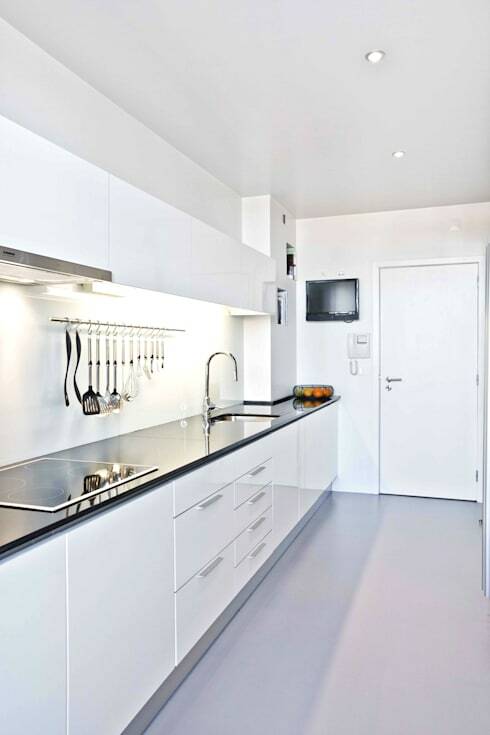 This kitchen shrewdly makes the most of its wall space by installing a long and linear kitchen. Ensuring the ambience stays clean and fresh, the designers have opted for a minimalist, white colour scheme, and simple accessorising. Next up we head inside a room designed by the team at FPR Studio. 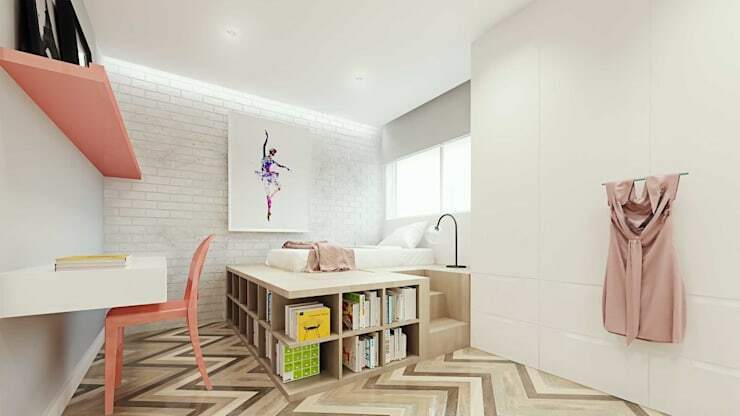 Neat and space conscious, this sleeping space utilises every centimetre of space to include storage, as well as a large and effective workspace. Definitely one of the most space-efficient solutions we have seen incorporated in homes, this floor-to-ceiling shelving system is unquestionably clever. When you are lacking space in your abode, taking advantage of wall space is the ideal way to ensure your have enough room for all manner of household odds and ends. If you are lucky enough to have a residence with high ceilings, you can certainly make the most of them. A mezzanine or internal loft can add extra floor space, while offering a visually interesting addition to your home. 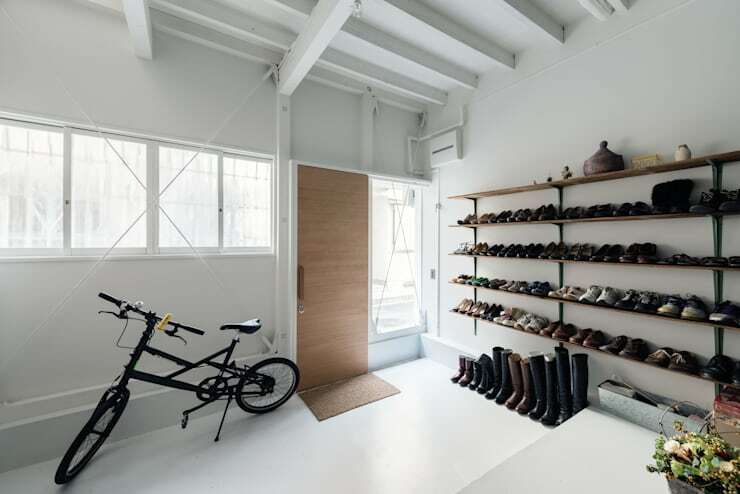 This long and narrow abode in Japan has been renovated by the architects at COIL. Set up to feel open and roomy, while still practical, the dwelling utilises its space in an interesting and unique manner. One of the most important elements we look for when evaluating space efficient homes, is how well they utilise and create multi-functional rooms. 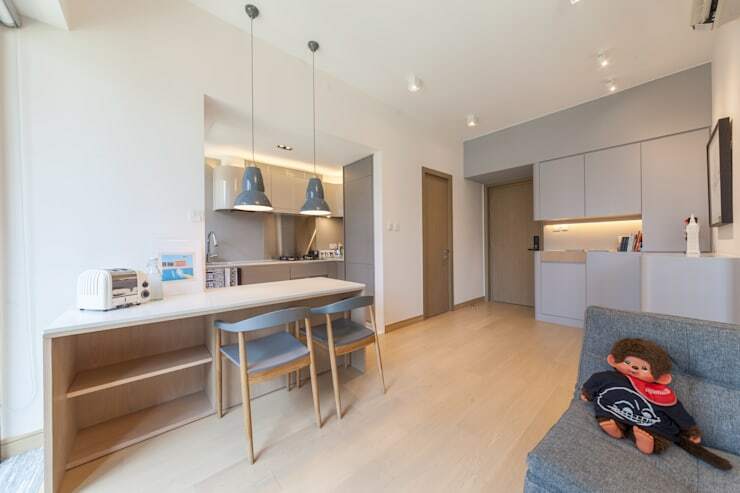 This apartment is an exemplar, with modular furniture that not only looks timelessly chic, but also works in a practical and efficient manner. By Miro Architetti, this apartment, known as Casa Giano, is a wonderfully space-optimising abode. With a compact layout the home manages to fit everything in, while retaining a sense of spaciousness and character. 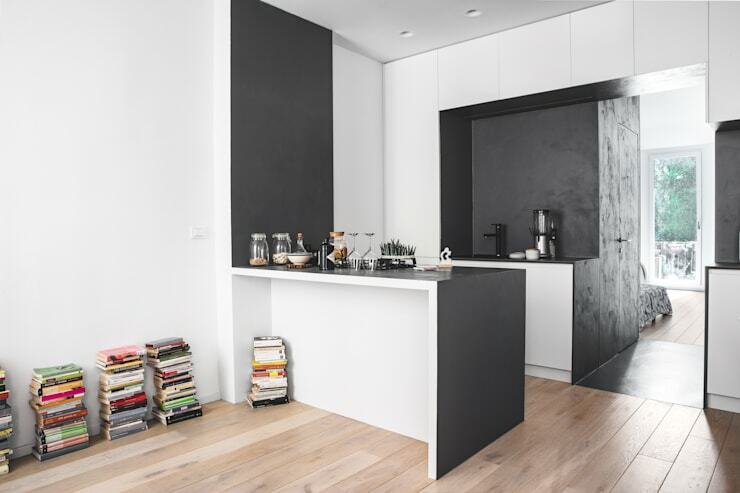 The colour scheme is a contrasting black and white set of hues, which help add creativity and originality to the design. 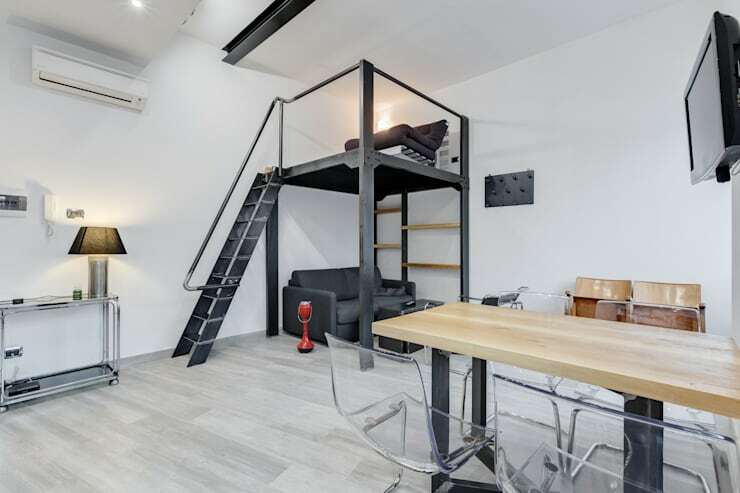 For our last example we take a peek inside a micro loft located in Berlin. Here we see how the architects have combined different room elements to save space, while also re-evaluating the way we live. The bathtub is located in the living area, which is serviced by a large projector screen that offers a theatre-esque ambience to the room. Which space efficient home do you prefer? Let us know below!